5 | 41 students enrolled. Credit Analysis is the core process adopted by any bank in order to understand, evaluate and appreciate about the customer's identity, integrity, financial position, repayment capacity, etc. Day in and day out they have to deal with new customers and before sanctioning any new loans to them, a banker is required to have made a detailed study of their customers. Hence it is imperative for every corporate banker to be well conversant with the credit analysis techniques; else their mistakes in the process will be very costly, at times even beyond their manageable position. Credit analysis is the method by which one calculates the creditworthiness of a business or organization. In other words, It is the evaluation of the ability of a company to honor its financial obligations. Keeping such necessity in mind, this course has been perfectly designed, so as to provide a platform to bankers to have fall back reference on the critical aspects of Credit Analysis Process. Banking/ Management Consultants can also use this course for equipping themselves to the expectations of the bankers while handling Credit Proposals. 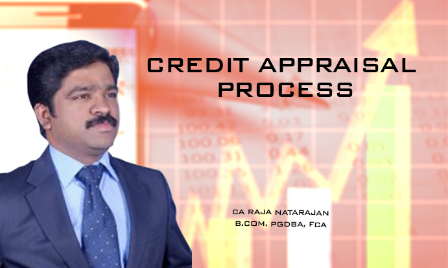 Credit Appraisal Process is a perfectly designed course which aims at providing a platform , wherein the bankers can fall back for reference on any of the crucial facets of Credit Analysis Process. This course will enable the Banking/Management Consultants to equip themselves to the anticipations of the bankers while conducting Credit Proposal evaluations. After successful completion of the course , students will get a “Certificate of Completion"